2017-11-02. Published in category Articles. It is life, not just a form of entertainment. Music is the sound of my mother's love, the wind, the sunshine, the rain, children's laughter, joy, heartache, and pain. It is a friend, comforter, motivator – and it is an instrument for love, and compassion. Vasti Jackson performing his Hurricane Season, which can be found on the 2007 release "Bourbon Street Blues: Live In Nashville"
Being nominated for a Grammy for my CD "The Soul Of Jimmie Rodgers" - and having two CDs nominated for the Grammy in the same category (Traditional Blues) in 2017 - was a wonderful and very exciting surprise. 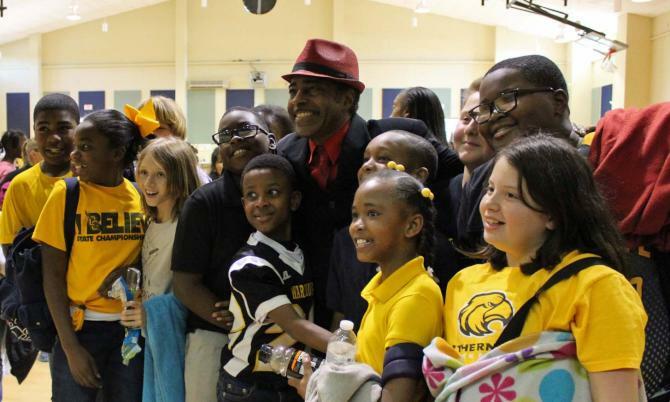 Bobby Rush's "Porcupine Meat" CD won. Of which I am the Musical director, and featured guitarist. People are surprised that I made an album in homage to the father of country music, Jimmie Rodgers. But the main thing to know is that Jimmie Rodgers was influenced by the African Americans that he spent time with in Mississippi. Before he became famous he performed in black face, and sang blues songs in tent- and vaudeville-shows. He has the word “blues” in more that twenty titles of his songs, and said that he yodeled the blues. After listening and studying I realized that the soul of Jimmie Rodgers is the blues. My new album is “The Blues Made Me (Roots and Fruits)”. It was released in August of this year - and it is a microcosm of my life through music. Accolades are nice, but they aren’t the reason I am a musician. I come from a musical family, and we did it for love. Jobs you do for money. I became a professional musician at thirteen years of age, although I didn’t make a conscious choice to be a musician. It was what we did. Contrary to popular belief blues musicians aren’t always touring. I don’t observe that people in the genre are working all the time. That is a choice, if so. Many tour from April to November, and take time off during December and January. The tours are well organized, and I go to Europe two or three times a year. Blues is a popular subject among film-makers for documentaries, as blues is about the subjects of life, and survival. Africans in America went through slavery, and still contributed so much to America's greatness. There is also the spiritual aspect that fascinates people - that of good and evil - of Robert Johnson and the crossroads. For a long time it was illegal for African Americans to play a drum in America, because of their ability to send messages to other slaves, as the European Americans did not know what the Africans where communicating. People feel the bass drum pattern of the shuffle being close to the heartbeat, and this is the rhythmic foundation of the blues. I have been part of film productions about the blues, and they are opportunities for dialogue, for informing people of where this music comes from. The blues is the classical music of America. And there is such a thing as the art of the blues. The cultures of Africa and Europe collided, and Mississippi is the "Garden of Eden" of the blues. The blues is the foundation for all popular music. All countries no doubt have their songs of woe, but the African Americans expression (The Blues) has been - and is - embraced throughout the world. Helping others through my music is important to me. The Playing For Change Foundation has given me a greater reach to connect with children through music education. We have started fifteen schools in twelve countries in ten years, and we are expanding annually. 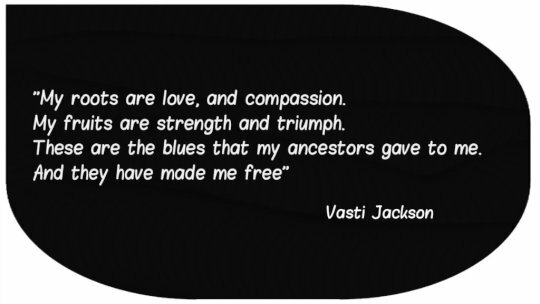 Momma, a touching ode from Vasti Jackson's 2017 album-release "The Blues Made Me (Roots and Fruits)"
Vasti Jackson is a guitarist, singer, song-writer, producer and musical director+. 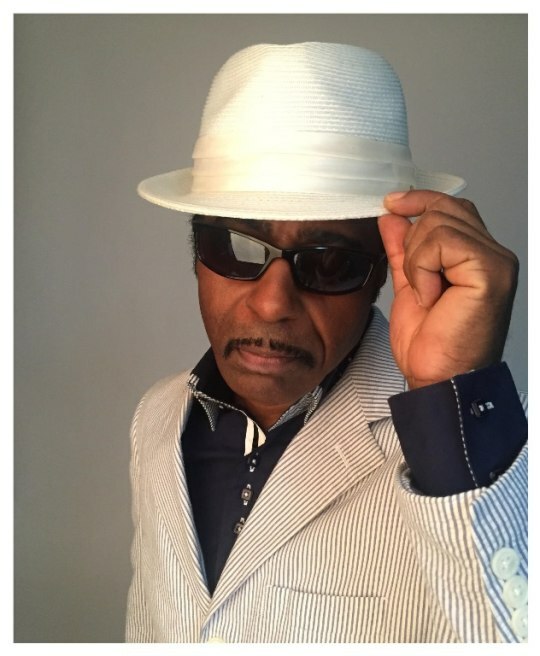 He is a Mississippi Musicians Hall of Fame inductee with seven solo albums behind him to date, who in 2017 was up against himself at the American Grammy Awards, with both his own album "The Soul of Jimmie Rodgers" and Bobby Rush's album "Porcupine Meat", to which Jackson contributed, nominated for the Grammy for Best Traditional Blues Album. 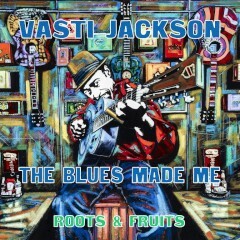 Vasti Jackson is a highly saught-after instrumentalist in the blues idiom of course, but also for example in gospel music. Among the records he appears on you hear him on B.B. King's 1994 release "Blues Summit". 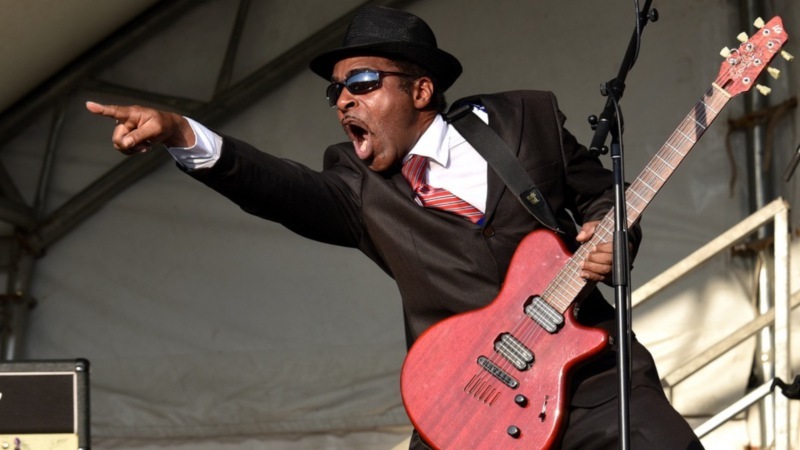 Vasti Jackson also finds the time to devote himself to Playing For Change, and was featured in the Scorsese documentary series "The Blues".